What else is there to do near the "Lane of Attraction?" While strolling around the beautiful hilltop town of Pienza in the Val d’Orcia, Tuscany recently we were told by a couple of locals that the three streets leading to a pretty overview have some special significance in the way they are lined up, and the way they are named. Approaching from the south, the narrow lanes start with the “Lane of Attraction.” Next, just a few steps down, the “Lane of the Kiss.” And finally, “Lane of Love.” Ahhhh. 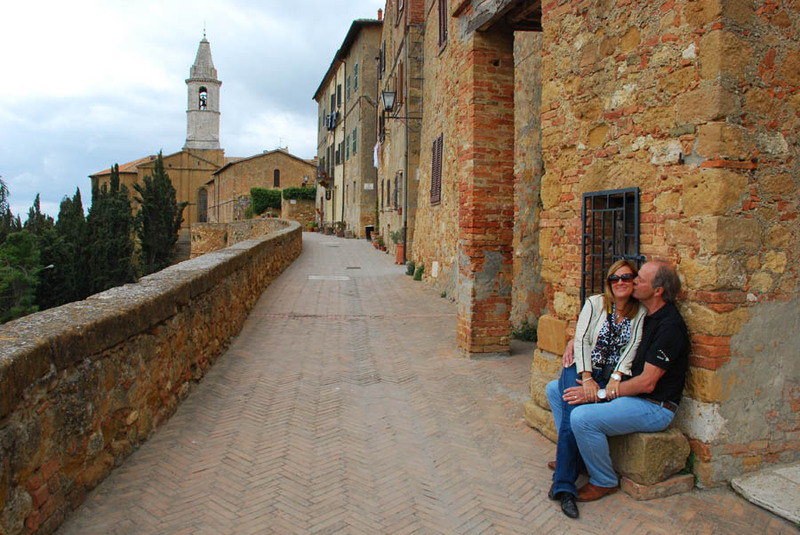 Makes you want to visit Pienza, doesn’t it? Oddly enough, there’s not a single postcard or other souvenir in the town which mentions this trio of cute lane names. If it weren’t for the helpful local, we might have missed it. Grazie, whoever you were! Posted in Italy Tours, New Discoveries and tagged di, orcia, pienza, tuscany, val.